Pioneers in the industry, we offer fuel transfer pump, mini gear pump, oil pump, oil gear pump and double gear rotory pump from India. Oil Pump We are remarkable entity, engaged in offering superior assortment of Oil Gear Pump. Our offered oil pump is provided with lots of different stipulations & sizes in order to satisfy our customers. The oil pumps given by us is much admired in the market for its accurate dimension & long service life. For delivering the faultless range of oil pumps, we examine the entire range on provisions of quality under the direction of quality specialist. We are remarkable entity, engaged in offering superior assortment of Oil Gear Pump. Our offered oil pump is provided with lots of different stipulations & sizes in order to satisfy our customers. The oil pumps given by us is much admired in the market for its accurate dimension & long service life...For delivering the faultless range of oil pumps, we examine the entire range on provisions of quality under the direction of quality specialist. 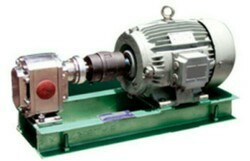 Our Pump range is from 1 to 500lpm and suitable for all types of oils and in SS,CI,CS construction. We also provide custom built products or any special requirement as per requirement. Enclosing herewith some introductory details of MIG series.Pl let us know your valuable requirements. 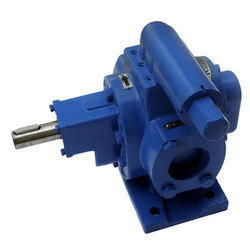 Here we suggest MIG series pumpset can suit to your requirement. 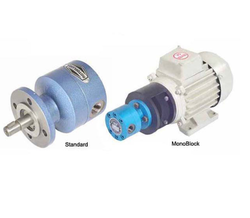 Looking for Oil Gear Pump ?